My favorite thing about having an online presence is all the wonderful people I've had an opportunity to get to know via their blogs. As well as having a chance to meet and hug and squeeze some of them in real life. Sometimes I find myself asking how in the world did I go from a teacher who rarely spent time on the Internet, to know owning a business and interacting with so many wonderful people that I have yet gotten to meet! It has seriously blessed me more than I could of ever imagined. The other day I was able to finally get a P.O. box. I thought I had been on a waiting list to get one for a long time now, but it turns out I was never on a wait list to begin with! Total bummer, I know. However, someone was giving up their box the same day I inquired about getting one. So thankfully I was able to snag their old box. If you know me just a tiny bit then you probably know how much I love writing cards to people. It's something I've done for as long as I can remember and try to do as often as possible. While I don't always feel that encouraging to others, I know that this is my gift, and I try to use it to bless others. So I thought maybe it'd be fun to have some penpals, so lets be friends?! If you write me a card, I will absolutely send you one right back. Or perhaps you just need some encouragement or some love in the mail. Just shoot me an email with you address and I'll send a card your way! Well, now I want a P.O. box! That's so nice! Such a great idea. Getting (real) mail is always so uplifting. Such a fun idea! 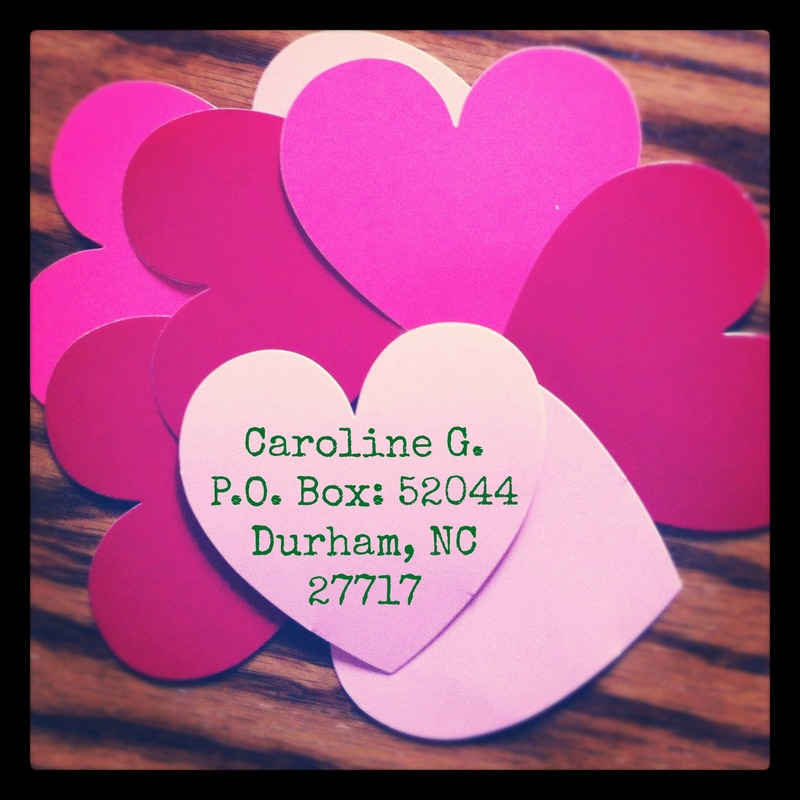 One of my Resolutions was to send more cards, I'll add you to my list! I love mail!! Aww! I can't wait! I'm definitely sending you one. It is so nice receiving good/fun/happy things in the mail! I love this idea! You are so sweet. Snail mail is so fun! What a cute idea! :-) Found you via Casey Wiegand!